Macrobiotics is the only true way to eat clean and healthy. This audiobook was created to help the individuals that are looking for a diet that not only requires the elimination of a lot of thing but also helps to stave off or keep some diseases at bay. This diet promotes a mix of planetary, spiritual and physical health. It is a diet that is mostly vegetarian and only includes a bit of fish and seafood occasionally as the meat. The author gives a great variety of menu options broken down into the various groupings just as the diet dictates, summer, spring, autumn and winter. The advantages and disadvantages are also outlined in the first chapter so the listener will be able to make an informed decision as to whether they will adopt this lifestyle fully or just use some of the principles that the diet dictates. It is a great recipe guide and the information provided is extremely relevant. The great thing too is that the ingredients are not hard to source and can be found in any local supermarket or vegetarian store. It is a great addition to the bookshelf of any household and can be referred to for guidelines whenever it is necessary. Macrobiotics is not as hard as it may seem with the right guide. Nothing. The author was not well versed in macrobiotics. Her career apparently consists of "investigating" various diet plans and explaining them (badly) to an audience. Never again! What could Stacey Turner have done to make this a more enjoyable book for you? Gotten the facts straight before she wrote the book. She went off half-cocked. Hiring a different narrator would have been helpful, although the quality of the book rendered it un-salvageable. 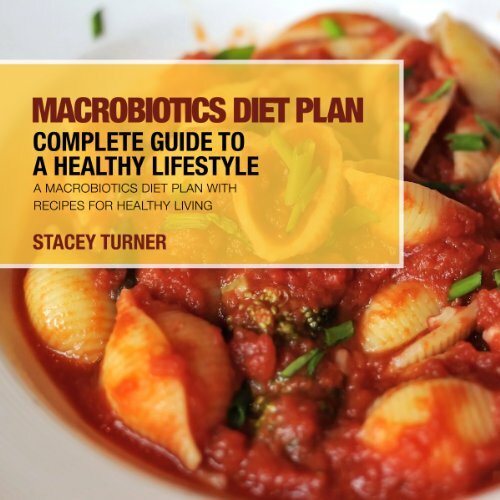 What character would you cut from Macrobiotics Diet Plan: Complete Guide to a Healthy Lifestyle? The author and the narrator. The book was not well done on any level. Buy the Jessica Porter book "The Hip Chick's Guide to Macrobiotics" instead. It's complete, inspirational, and humorous.